Are you in it for the long haul? Hunting is not a sport for quitters. To be successful requires hard work, commitment, and perseverance. The Browning Long Haul won&apos;t let you down, especially when it&apos;s time to roll up your sleeves and get dirty. 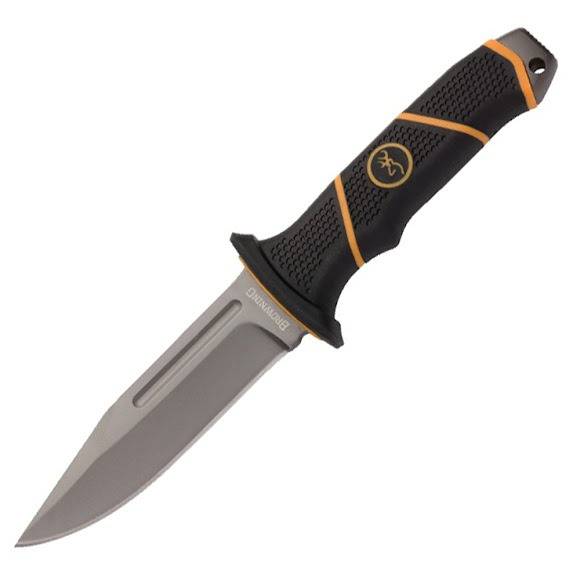 Fixed blade hunting knife, hollow ground titanium coated 7Cr stainless steel blade, injection molded polymer handle with lanyard eyelet, MOLLE compatible flapped nylon sheath.